Mercedes-Benz has enriched the Sprinter range with the Sprinter 4×4, a multipurpose variant for which no mountain seems too high and no road seems too bad. 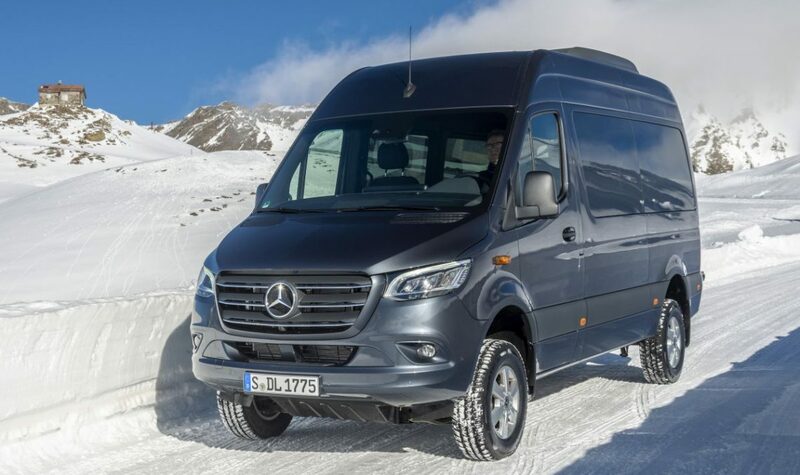 The new Mercedes-Benz Sprinter, which was presented in February this year, is now also available as the Sprinter 4×4, which, as its name implies, is a four-wheel drive version of the van. The Mercedes-Benz Sprinter 4×4 has four-wheel drive system that can be switched on, an operation that can be done at a standstill or at a speed of up to 10 km / h via a choice in the instrumentation. Exactly 65 percent of the power goes to the rear axle under normal conditions and the remaining 35 percent is sent to the front wheels. In addition, Mercedes-Benz equips the Sprinter with 4ETS traction control and adaptive ESP. The latter system even takes into account the load and in that case knows whether the car has a higher center of gravity than usual, where it then adjusts its operation. Optionally, Downhill Speed ​​Regulation (DSR) is available, the same applies to the possibility to order the Sprinter 4×4 with low gearing. 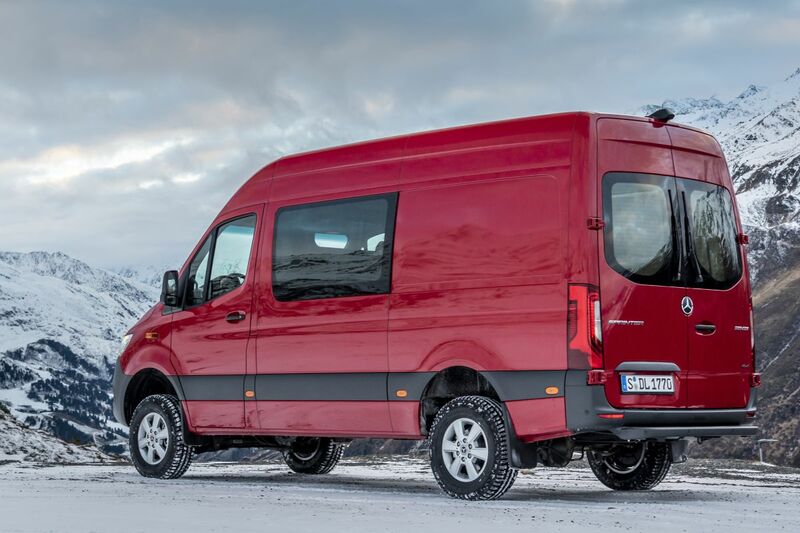 To prepare the Sprinter for surfaces with violent irregularities, Mercedes-Benz puts the Sprinter 4×4 15.5 cm at the front and 13.5 centimeters at the back higher on its legs. This of course also has consequences for the approach angle. The extra weight that the four-wheel drive entails is 140 kilos.